What factors underpin young people’s food and drink purchases in the vicinity of schools, on the way to and from school, and during the school day? 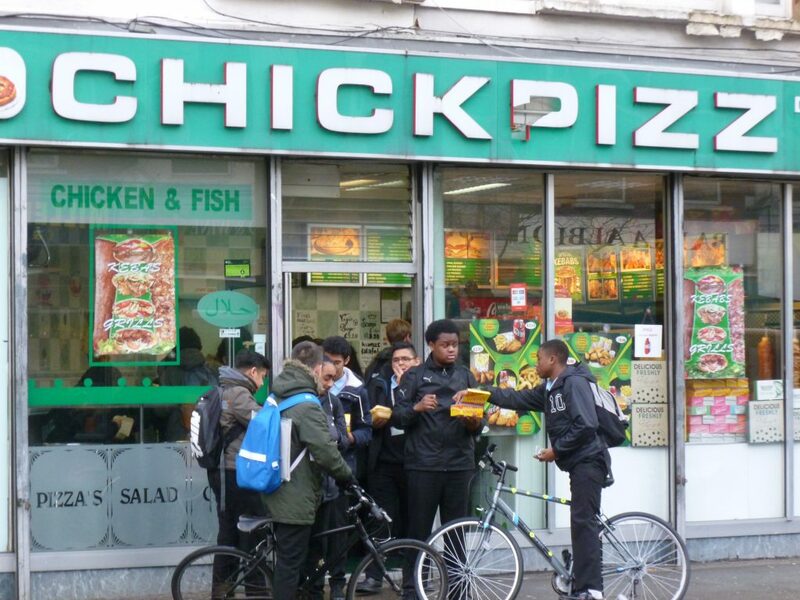 There has been much written about school meals and their impact on children’s health but in this briefing paper we focus on the factors that inform food and drink purchasing by young people in the vicinity of school. 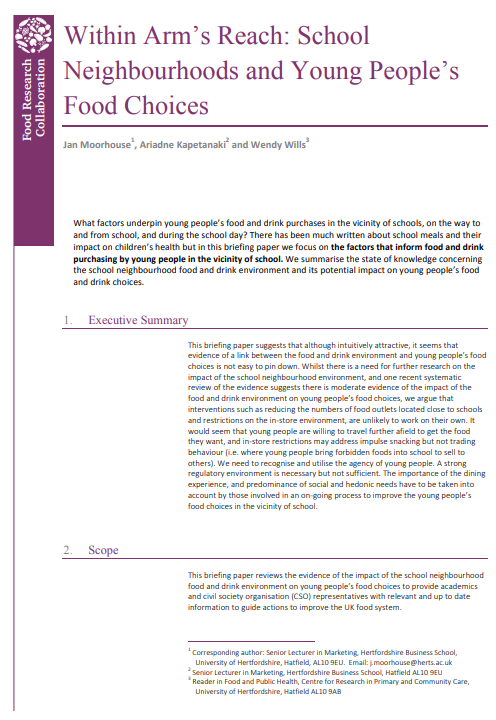 This paper presents the state of knowledge concerning the school neighbourhood food and drink environment and its potential impact on young people’s food and drink choices. In recent years much has been done to improve school meals and the limited availability of some popular but less healthy foods in secondary schools may have resulted in unintended consequences. Many young people are turning to fast food outlets, supermarkets and convenience stores outside school to buy their lunch, which can represent 23% of their daily food intake. Peer pressure coupled with perceptions that eating healthily isn’t ‘cool’ may also be contributory factors. The researchers involved in this study argue that food outlets could offer ‘supersize’ promotions for healthy foods and not just for items such as crisps and sugary drinks to help drive down obesity. School cafeterias should provide a better dining experience – a crucial factor in improving young people’s food purchasing habits. Their need to be with friends is of vital importance and cafeterias need to do more to be seen as an acceptable social space, whilst promoting ‘tasty’ rather than ‘healthy’ food.